PRODUCTION POWER, ON THE MOVE. Inheriting all the essential features which make the MPC series so iconic, the MPC1000 is not only a perfect complement to its larger MPC siblings, but a powerful Music Production Center in its own right. The MPC1000 combines a 64–Track MIDI Sequencer and a 32–voice Stereo Digital Sampler, with 16 velocity and pressure sensitive rubber pads. 16MB of on–board memory comes standard and can be expanded up to 128 MB of RAM. You can save your work to a Standard Compact Flash Card (up to 2GB). A preloaded CF card is included, to get you going. When connected to a Mac or PC via its built–in USB port, you can simply drag & drop data between the computer and the MPC1000's CF card. Incredibly portable, the MPC1000 is small and ruggedly designed, to easily fit in a backpack or laptop bag for the traveling producer. Considering purchasing the Akai MPC1000BK Sampler? Have questions? Ask people who've recently bought one. 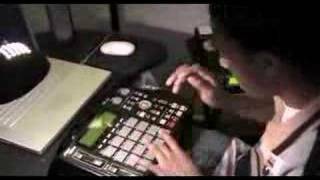 Do you own the Akai MPC1000BK Sampler? Why not write a review based on your experience with it. 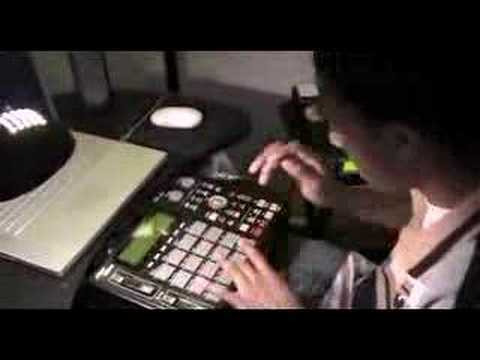 Seen a video for Akai MPC1000BK Sampler online or have you own video? Check out Akai MPC1000BK Sampler on DJkit.com!